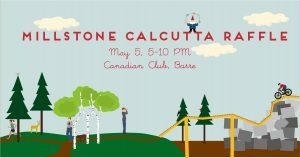 Tickets to MTA’s first annual Calcutta raffle event are now on sale! Join us for your chance to win $1,500 cash, or a number of other great prizes generously provided by our sponsors. Your ticket includes 2 dinners and 2 day passes to Millstone! Purchase tickets online here today!